Designed to optimize the consumer experience across a broad range of market segments, including retail, travel, financial, government, healthcare and entertainment, this family of AnyPlace Kiosks supports a global ecosystem of software applications. The AnyPlace Kiosks are now available in both performance and entry-level models to offer more choice and flexibility to support a wide variety of applications. In addition, hardware options such as wall mounts or table top mounts help tailor the system to your business needs and enhance brand perception. 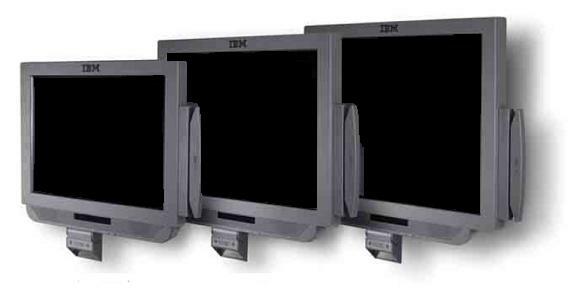 The IBM 4838 Anyplace Kiosk Model 730 features a 17-inch Active Infrared Touchscreen, an AMD Sempron 1.8GHz Processor, 512 Mb Memory, 80 Gb Hard Drive, and a one year On-Site Warranty.